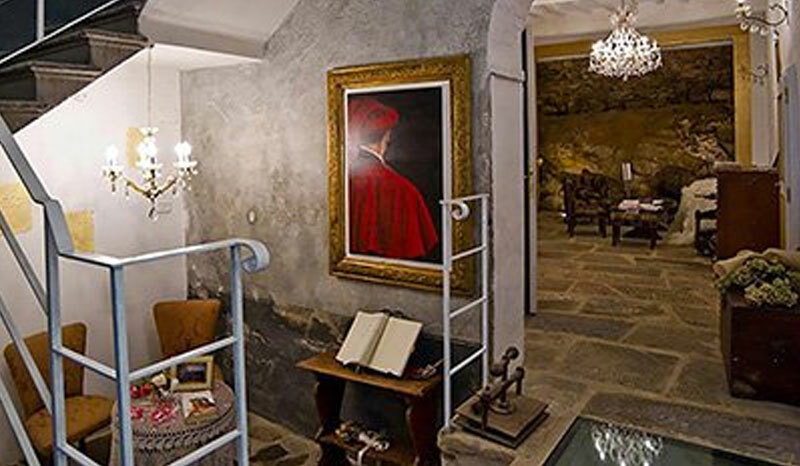 It is located on the first floor of a historic building whose origins date back to 1200. The ground floor is characterized by fascinating unique elements such as the stone wall of the Sala Della Roccia or the entrance hallway. The road where Antichemura is located, Piaggia di Murello, was once called via di RugaMastra, due to its importance and strategic position. In fact we are lucky enough to find ourselves in a quiet, quiet place but a few steps from the Duomo of Arezzo, the Cathedral of San Donato. Antichemura is a family-run B & B. For 10 years the Lancini Family has been welcoming its guests on the first floor of its elegant building, always offering quality passion and style in hospitality. Giovanni – the pater familias, early riser takes care of the breakfast and the check out. Grace – the mother. He takes care of cleaning and linen. Barbara (pictured) – Deals with cleaning, administration and public relations. Patrizio (in photo) – Factotum, deals with ordinary maintenance, marketing and online promotion.